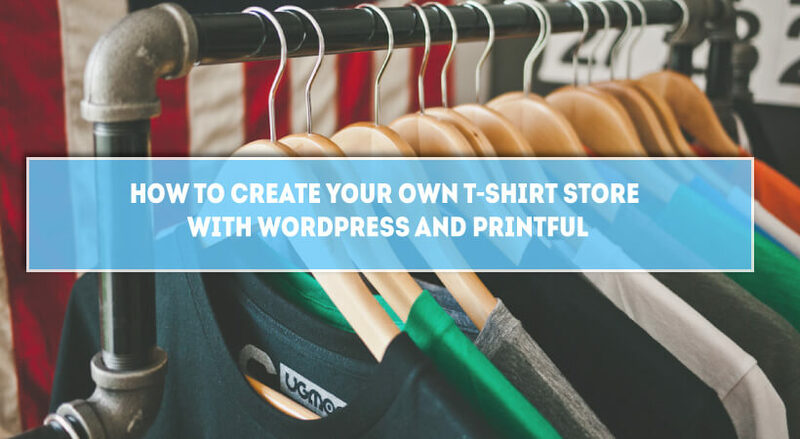 When people start their first site they are facing countless decisions: Which WordPress theme to use? What about the plugins? What is this, hosting? Unfortunately, it’s not that easy. Well, unless you don’t have a budget for this and you can afford to pay an agency to take care of everything for you. But most of the people aren’t that wealthy. That’s why we need to figure out stuff the hard way. The long way. Key factor of the infrastructure of your site is the SEO. If you want to make money blogging, you need traffic to your website. Fortunately, we have this guide. 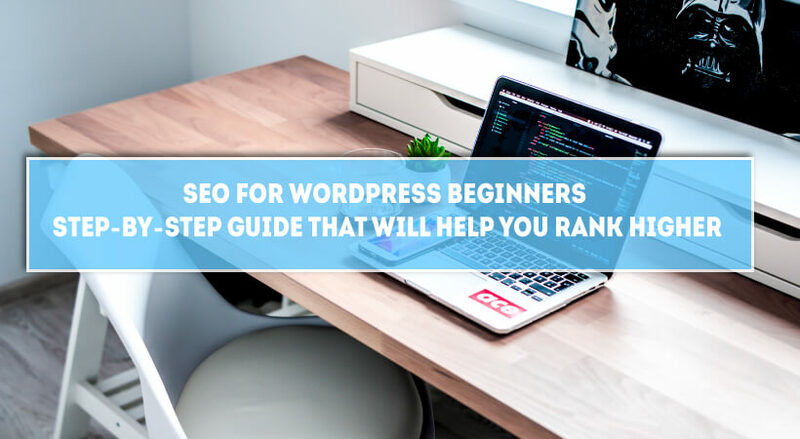 In this post, it’s actually more of a guide, I will explain how you can boost your site so you can reach the top position of Google. This is my SEO for beginners step-by-step guide. Before we get into more details, let me first explain the basics of SEO. Search engine optimization (SEO) is the practice of increasing the quantity and quality of traffic to your website through organic search engine results – I literally copy paste the previous sentence from moz.com. In other words, SEO is a process that makes your site more likable from the search engines, which ranks it higher in the search results. And if you’re not sure what are the search engines, let me give you one example: Google. Currently, Google, Yahoo, and Bing are the top used browsers in the world. We open Google > We type what we want to find > Google brings results > We click on one of the links. Nearly 90% of the people who search online don’t click on the second page of the results Google brings. So, if your site is not ranking on the first page of Google of the desired keywords, you’re losing a lot of customers because you’re not getting any traffic. A site without traffic is simply a waste of time. Google, and the other search engines rank pages and posts, not the main website. People get to your main page: domain.com > From your home page they go to the other pages > They buy something from you. People get to a particular page/post on your site > From there they can check your other posts > They buy something from you. So, what we need to do? A couple of years ago, it was vital to have a domain name with the main keyword of your website inside. For example, if you wanted to sell flowers online, it was a really good practice to buy a domain name with the word flowers inside. If your domain name is long this will make the links of your site long as well. For example, if this is your domain name: thisismyreallylongdomainname.com, a link to it will be that long: thisismyreallylongdomainname.com/category/my-new-blog-post-about-content/. Social media influences a lot on the length of our links. That’s why there are so many sites that allow us to shorten our links. Strive to keep things simple and get a short domain that people can actually remember. In addition to what I mentioned above, we should avoid using hyphens and numbers inside our domain names. The explanation here is simple: this will make it hard for the people wanting to visit your site because there is a lot of room for error. Keep it simple. One last thing: try to get the .com extension of your domain name. Everything after the dot we call it domain extension. The most popular extension is the .com one. People are so used of typing .com after a domain that if you have a .net extension they might end up visiting someone else’s website. You simply type the keyword you want your new domain to include and you will immediately get results. A lot of people don’t think that the hosting matters a lot. But it does matter, a lot. A large portion of the way your site behaves online is thanks to what the hosting provider. There is a good chance that your site will be slow and down, for most of the time, if you end up getting cheap and unreliable hosting. If the above happens Google will drop your site in terms of rankings. Remember, the real purpose of the search engines is to show the most relevant results of the search query of the people typing. Obviously, no one wants to end up opening a blank page. If you’re interested in knowing more about them you can simply start a sales chat by going to their official website and clicking on the Help section on the top. Add your site title and tagline. Make the title brief but informational. Make sure to include words for which you want to rank for. 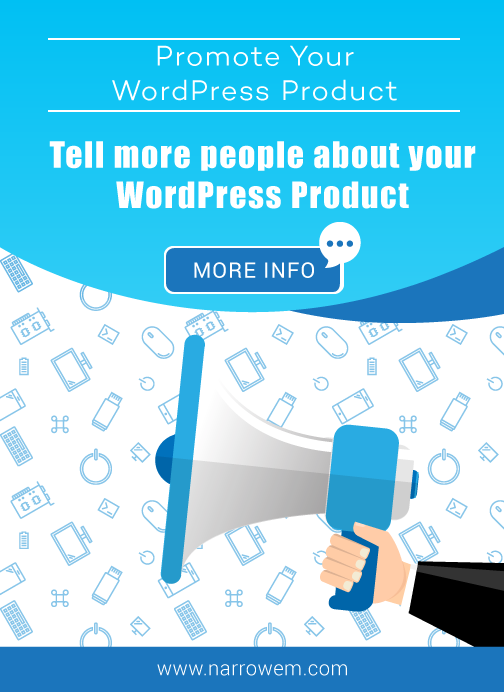 I’m using “WordPress reviews” in my tagline because that’s mainly what my site is about. This simple actions will add the category of your post along with the URL of the post. This is the most used URL structure. In addition, I will suggest creating categories that include the purpose of your site. If you add a lot of cooking tips, name your category cookings tips. This will tell Google that your site is mostly about this and it will rank it higher in the search results for that particular keyword. The next important thing you need to do is to install the most used SEO plugin: Yoast SEO. This extension allows you to add short descriptions of your blog posts that are later used when Google is crawling your website. That’s it for now with this plugin. I will later show you how to use it with every post. Creating Google Webmaster account gives you a lot of benefits: You can monitor the overall performance of your website; How it ranks; Potential issues that are blocking your site from the search engines, and more. To access the tools for webmasters created by Google you simply need to go here: Google Webmasters Login. The next screen will ask you to verify that you have ownership over that account. To do so, you simply need to upload a file inside your file manager. 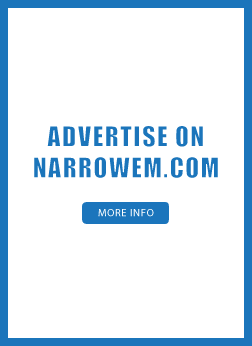 Click on the link you will see above – option 1. 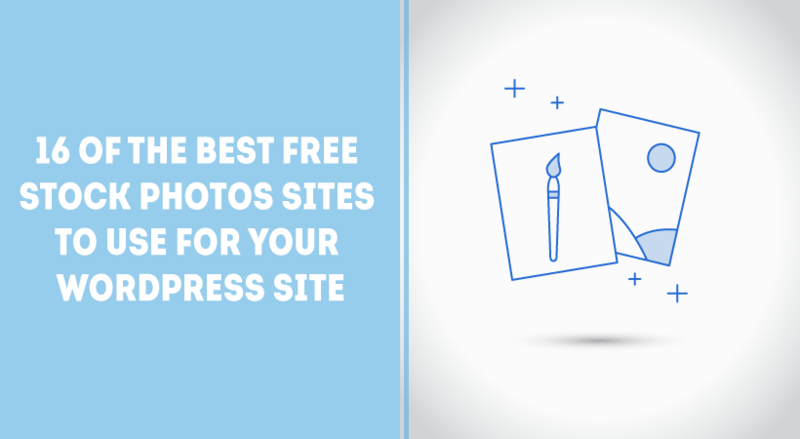 Upload the file inside the folder of your website. In my case, this is inside the public_html. Simply click on the Upload button above to upload the file. Once the file is uploaded, go back to the previous screen and Verify. Once this is done, go to the little wheel > Site Settings > Choose how you want your site to appear. I will personally recommend using the version without www. mainly because this will make your URL shorter. Next, go to the Search Traffic section > International Targeting > Country > Choose in which countries you want to focus on. This is really good if you’re focusing only on one particular market. The next thing you need to do is to submit your sitemap. This will force search engines to crawl your site, which will basically update your position in Google. You submit it and also test it if you like. Ok, we’re done with the configuration of our site for more traffic. Once the above settings are done, you won’t have to touch them again. Except for the last part about sitemaps, you might want to update this if you’re making changes to the configuration of the map of your site. Before we start our next post, we should first find good, long tailored keywords for our copy. We want to bring more visitors to our website. More visitors means more potential buyers for the things we sell. Here is not about choosing one or the other, it’s about combining what you want to say with bringing more traffic to your website. You will see results related to that keyword. As you will see, what we typed appeared on the top and it’s showing a volume of between 1k – 10k searches per month. Actually billion of results and the first result is a video. I found two really good results with large monthly search volume and low competition: Indian food recipes; easy chicken recipes. When you’re looking for a keyword, search for expression that’s at least 3 words long. This will narrow the choices and you’re more likely to rank higher for something really specific than something broad. For example, here we can use something like this as a title: 11 quick Indian food recipes. Ok, we’re ready with the title. We can now start writing our post around the keyword we found. The category is tightly related to the content I will be regularly publishing: cooking tips. Using synonyms of your keywords is called LSI keyword. You no longer need or have to stuff your blog post with the same keyword to rank higher in the search results. Actually, the later will make your site look spammy and Google will notice this. It’s best to use synonyms to your keyword. This will help crawlers better understand your topic, thus give it a ranking boost. Additionally, you can use the Google Keyword Planner. Simply copy-paste similar words to what you’re writing about. See how it will appear. The above things are the basic SEO techniques I use when I’m setting a new website and when I’m updating an existing one. Headings and bullet list: Using your target keyword in H2 headings is also really important for your on-page SEO. Additionally, use bullets and numbered lists to make your copy easy to read. Content length: Strive to write in-depth articles that are covering specific topic. Statistics show that articles that are around 2000 words long are ranking higher in the search results. That’s the main reason I write detailed themes and plugin reviews. Proper grammar and spelling: Proper grammar and spelling is a quality signal. I will personally suggest installing Grammarly tool on your PC. It’s free and easy to use software and it will help you write spelling free articles: Grammarly.com. Add links: Internal linking should be like a habit. Add links to your old posts when you write new ones. Do the same thing with the old posts. Linking to relevant articles in your website will increase your page views. Also, make sure to add links to outside sites. Anchor Text: When adding links to your site don’t use the “click here” text. Rather, use the keyword for that specific posts. 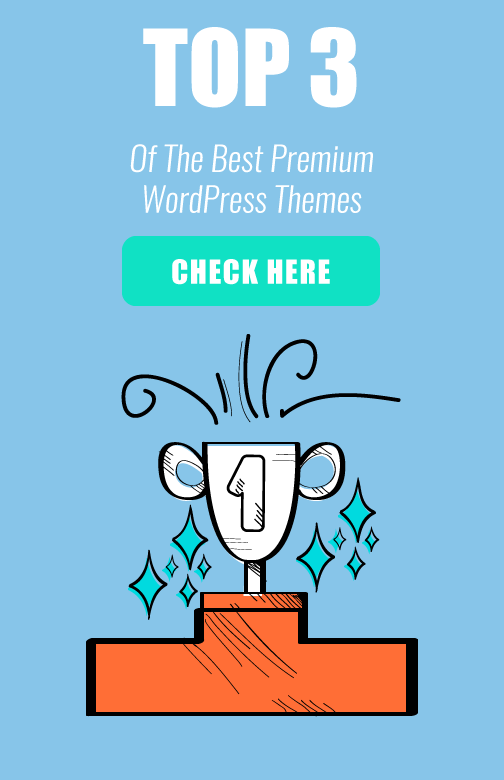 For example “If you are not quite sure which WordPress theme to use, make sure to check my best WordPress themes section.” In the sentence above the anchor text is “best WordPress themes section”, which is relevant to the main keyword in this article. Comment on other blogs: A commonly overlooked method for building traffic is adding comments on blogs. I don’t mean spamming here. Simply to share your thought on sites that are in a similar niche as yours. Engage people. Start conversations. It might sound strange at first, but soon you will see results. Build backlinks: The hardest, but the most effective strategy for increasing your organic traffic is building backlinks to your site. This usually happens organically. When you have nicely written articles people will want to connect with your content. Still, this happens over years. If you’re just starting, you might wanna contact famous sites and explain how your content can help their readers so they can link to your posts. Add social media buttons: Make it easy for people to share your stuff. The more shares you have the more people will end up reading your posts and buying your products. I will also suggest adding click to tweet buttons. Once the initial setup is done, you only need to make sure all of your posts and pages are SEO optimized. The Yoast SEO plugin makes the heavy lifting here. Smart SEO is all about optimizing the experience people have on your website. If people like the design of your website, the content, the images, they will trust you and they will buy from you. Then, they will share that with other people. Google will see these positive vibes and will give you better ranking for your targeted keywords. In short, the SEO of the future is pleasing your visitors. Make sure to check my article about the 10 practical SEO techniques I learned from Brian Dean for more practical SEO advice.